In a setback to the BJP in West Bengal, the Calcutta High Court today said the party must defer the three “Save Democracy yatras” it means to take out in the state ahead of the Lok Sabha elections next year. The rallies were supposed to be launched from three different locations in the state, and crisscross the state before converging in Kolkata. BJP president Amit Shah was supposed to flag them off. The administration had earlier denied permission for the “rath yatras”, saying they could trigger communal clashes in the state. A plea was filed, and yesterday, the BJP received the green signal from a single-judge bench of the same court. Justice Tapabrata Chakraborty said that it failed to see the reasoning behind the government’s argument and instead asked it to ensure that no breach of law-and-order occurs during the event. A jubilant BJP welcomed the verdict, and Union Finance Minister Arun Jaitley took to the social media to congratulate the state leadership. “If any NDA/BJP Government had stopped an opposition Programme, it would have been called an ‘Undeclared Emergency’. Why Silence now?” he tweeted. Today, however, the state government appealed against the single-bench order before a division bench comprising Chief Justice Debasish Kargupta and Justice Shampa Sarkar. It sought an immediate hearing because the case was of an “urgent nature”. The case has now been sent back to the single-judge bench with instructions that it consider 36 intelligence inputs provided by the state administration before taking a decision. After yesterday’s favourable verdict, the BJP had planned to launch the first of its three yatras from Birbhum district on Saturday. However, unless the matter goes to a vacation bench, the case will be heard only in the first week of January because the Calcutta High Court closes for the winter holidays today. 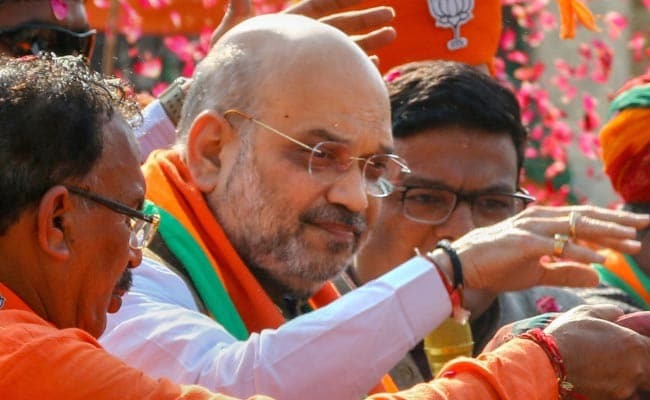 Mr Shah — who has set a target of 22 seats for the party in the Lok Sabha election — believes that the Mamata Banerjee government denied permission for the yatras because it is “terrified” of the party making inroads in the state. “Nobody can stop rath yatras in the state,” he had warned earlier.